It is latest advanced design in aspect of environment protection! Installed the whole plant inside the normal factory, with auxiliary systems, it has quite little influence for environment. It can almost isolate dust, noise and smells. 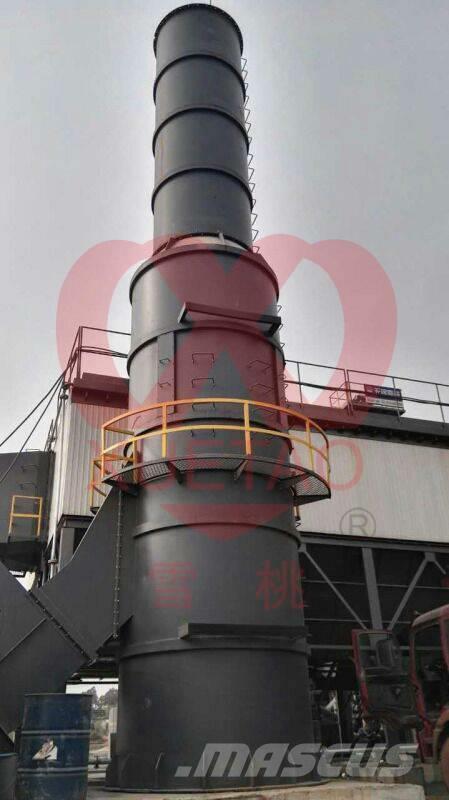 This plant is the best choice for the areas where has strict environment requirements, like places between cities and countryside, industrial zones, etc. IN·AMP SERIES IN-HOUSE ASPHALT MIXING PLANT MAKES YOUR CONSTRUCTION UNRESTRICTED! Models are available from 50t/h to 380t/h. 图1 Plant height much lowered, only about 15m now. It can be put in a normal factory of about 18m. Fully closed factory offers a better working environment, avoiding storm, rains or other extremely weather. 图2-1/2-2/2-3 Ventilation, dust collection and smells removing system offering a clean air inside and outside.